A little creative thinking can go a long way at camp. 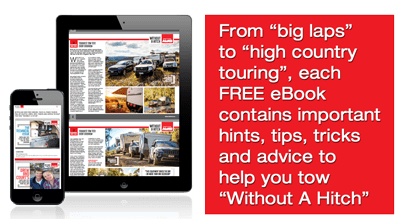 These days, it seems there’s a gadget to solve every camping and caravanning quandary. 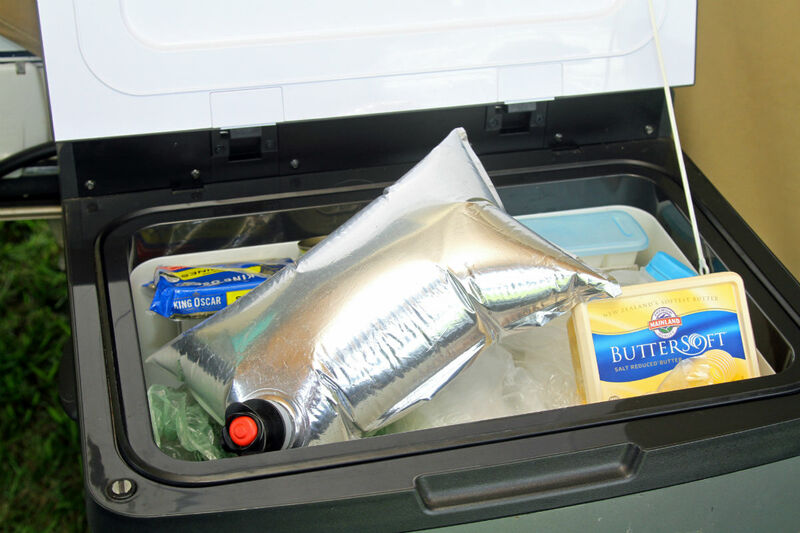 But with limited space in the van not to mention a finite budget, the best way to solve basic problems is with a little creative thinking and a few ingredients from around the house. Just because you’ve gone bush doesn’t mean you should let yourself go, and that means keeping the camping threads clean. For this task, a pair of clean industrial buckets and a long handle plumber’s plunger will do the trick just nicely. 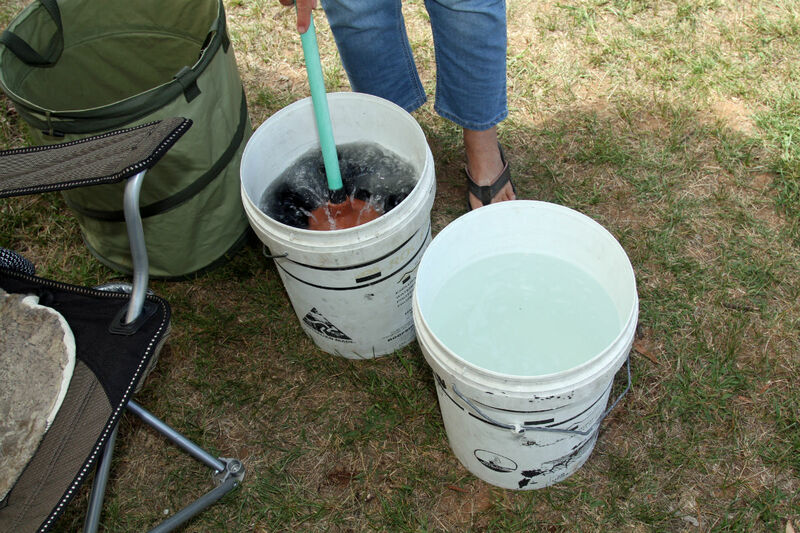 Use one bucket with detergent to get the dirt out and the other with clean water to rinse out the soap. All you need to add is a bit of elbow grease and a clothes line. 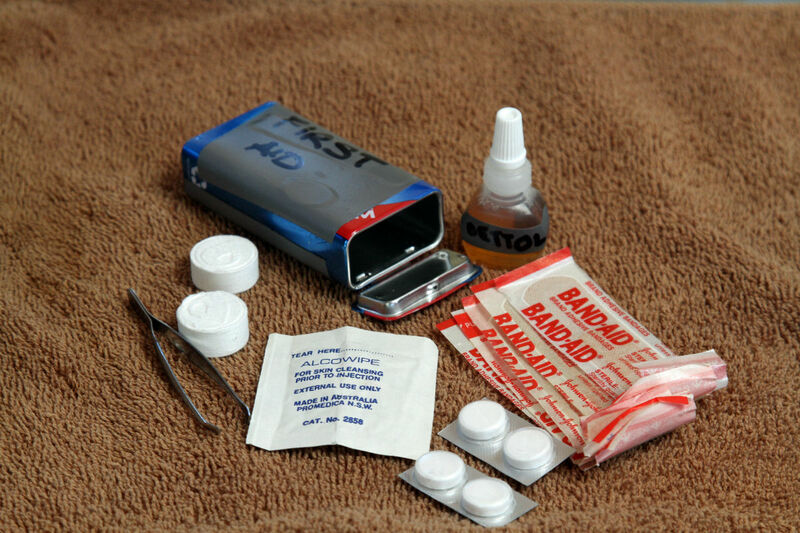 Your van or car should be stocked with a full-sized first aid kit, but a pocket version can get you out of trouble when you’re out on hikes or daytrips. You can assemble one easily in a small sturdy container. Add four Band-Aids, a small bottle of antiseptic, an antiseptic swab, a pair of tweezers, four analgesic tablets and two compressed cloth wipes, which expand to full size with a few drops of water. 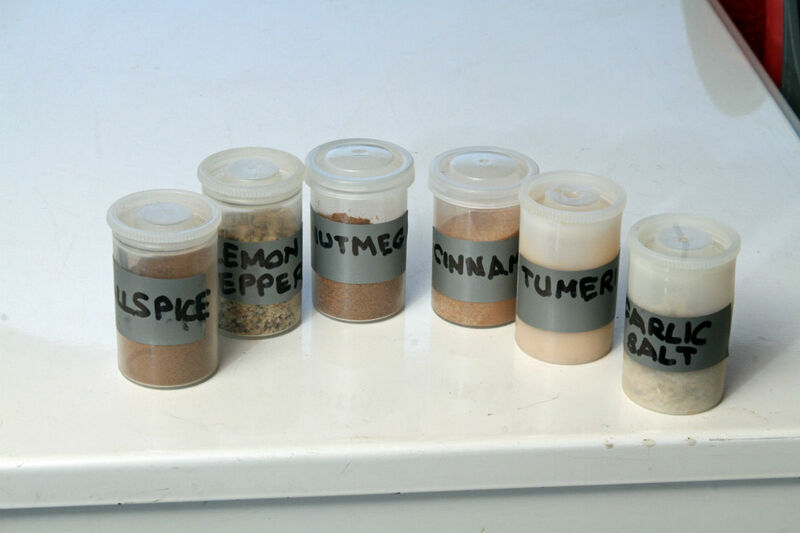 You don’t need huge volumes of items such as spices when at home, and even less when camping. They’re becoming hard to find in this digital age, but 35mm film canisters are perfect for the purpose: small, light, airtight and uniform in size and shape. A strip of tape provides an easy surface to label each container’s contents. Carrying a roll of toilet paper is a necessary part of camping, but you’ve got to keep it dry and clean. 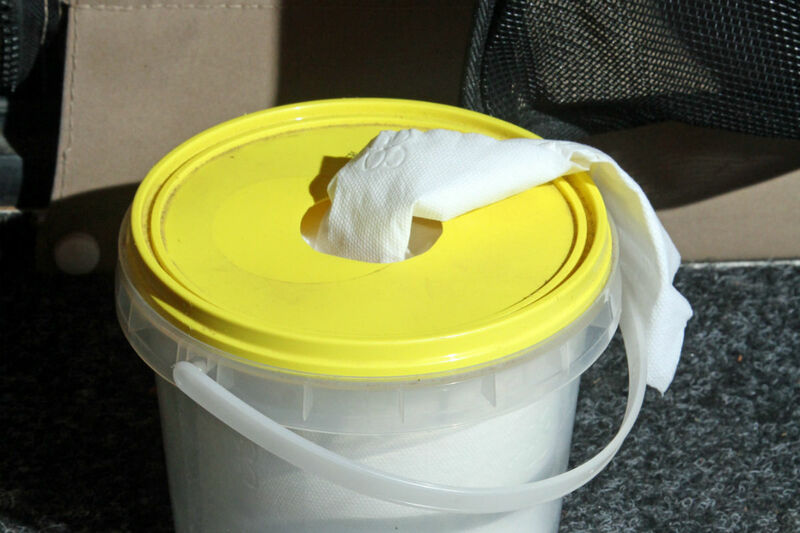 A round plastic tub with a lid (such as an old honey container) with a hole cut in the centre makes an ideal loo roll dispenser. If it’s a tight fit you might have to remove the cardboard tube from the centre of the roll to allow you to pull the paper up through the outlet. 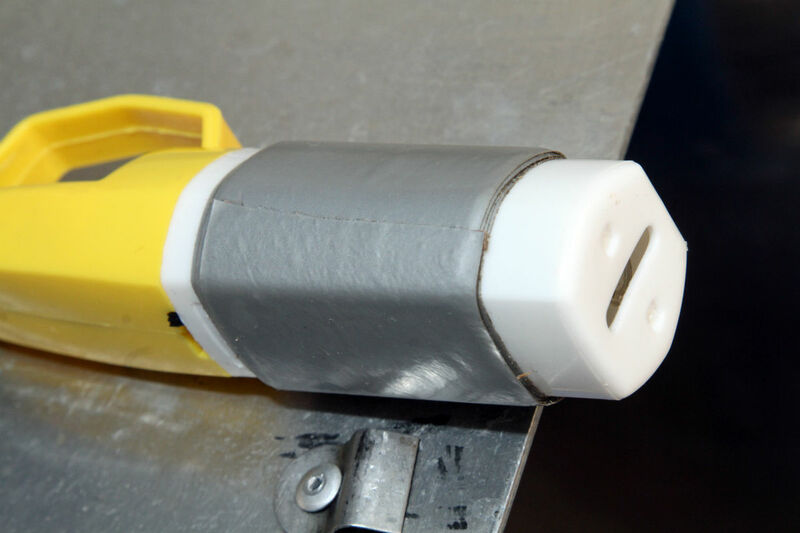 A roll of duct tape can be one of the handiest items at camp but if you want to save space in your kitchen drawer, try wrapping a metre or two of duct tape around an item, such as a firelighter, so that it’s there when you need it without carrying more clutter than you need. Head torches and LED light sources can be harsh and very directional, when what you really want at camp is soft, even light. 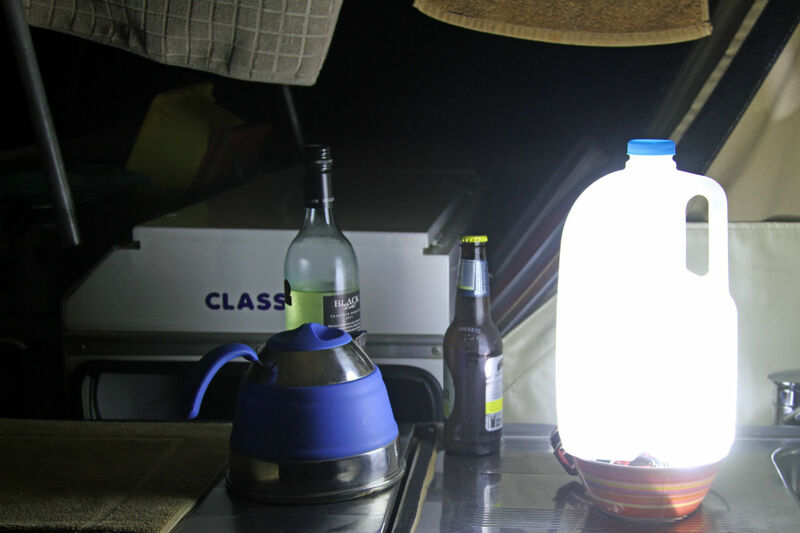 But if you place that head torch or LED light under or behind a white plastic bottle filled with water (an empty milk container is ideal), it will produce a pleasant, glowing light to up the romance at your campsite. A cotton wool ball coated in Vaseline is a guaranteed fire starter. Rub the petroleum jelly into the cotton wool ball and wrap it in aluminium foil. You can prepare these at home before you leave and drop them into a bottle or plastic bag. Once lit the smeared cotton will continue to burn for up to seven minutes, giving you a good chance of starting a fire even with damp kindling. 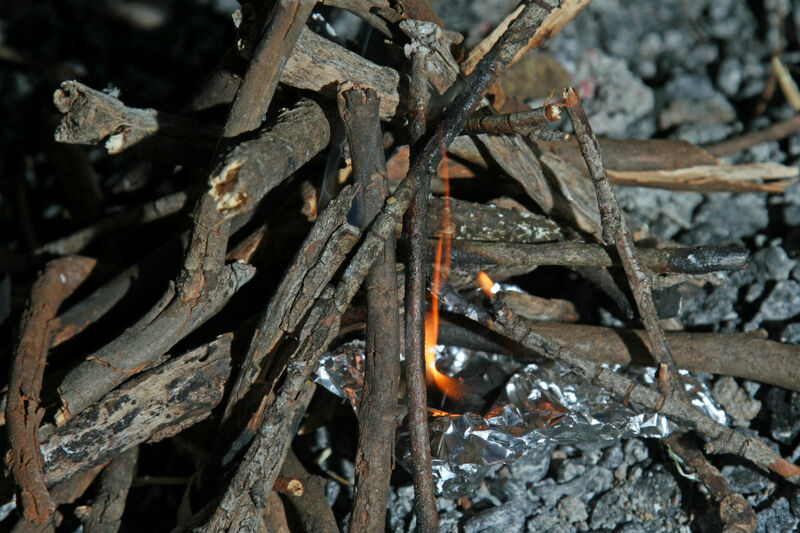 An old belt with a few bent wire hooks makes a handy companion around a campfire. 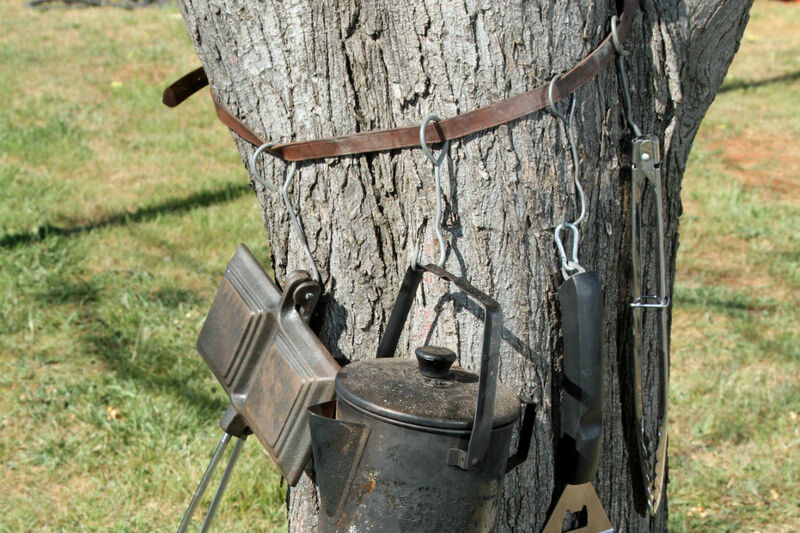 The belt can go around any nearby tree and, on the attached hooks, you can hang all those useful fireside tools that you’re going to need to prepare succulent campsite meals. Running short of kindling or fire starters? Then rescue that bag of corn chips from the kids and save your bacon. Corn chips will burn freely, are easy to light and a handful will start a fire with ease. And the best bit is that once the fire has started, you can nibble on the rest of the packet with your beer or glass of wine. Need to whisk cream, or perhaps you want to whip up a campsite soufflé? No problem. 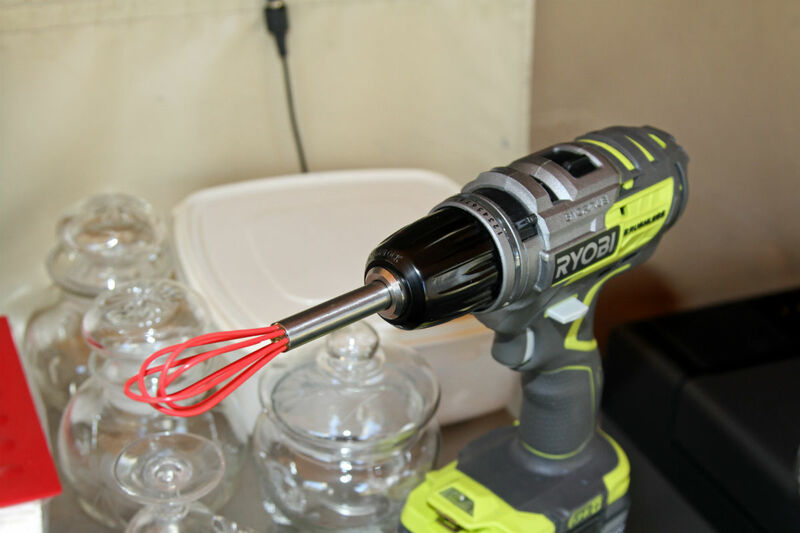 If you carry a cordless drill as part of your toolkit you can turn it into a Mixmaster in minutes by attaching a whisk to the end. Just try to avoid maximum speed as you will end up with more of the ingredients on the outside of the bowl than inside.